These are not the first cases I have heard about recently. 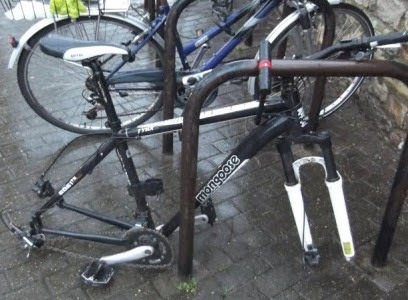 Take care, thieves operating. 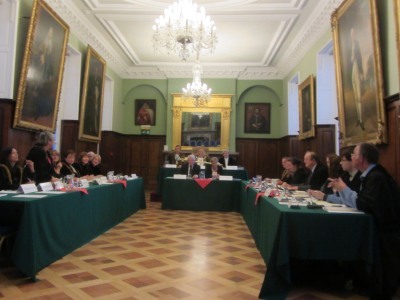 Since the last Full Town Council Meeting on 25th September there have been two Special Meetings of the Town Council that have decided to apply to the Heritage Lottery Fund (HLF) for a Grant of just under £2 million for a project to redevelop the Guildhall where the maximum cost is now £4,450,000. The cost has gone up to incorporate some extra features required by the HLF bid. This January 29th 2014 meeting agreed next year’s budget, which involves a 2.2% increase to the Town Council’s part of the council tax. 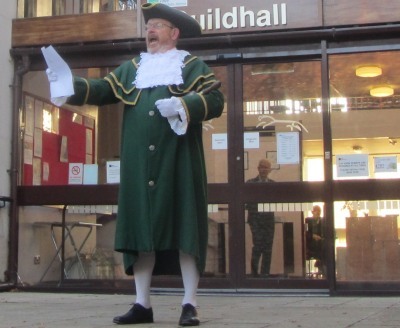 I was asked to leave the room, together with three councillors who had a personal interest, while a decision was made on leasing the Old Magistrate’s Court (part of the Guildhall). There was a recommendation that the lease be awarded to organisation A as listed in the confidential agenda. Currently it is leased to the Abingdon Music Centre. 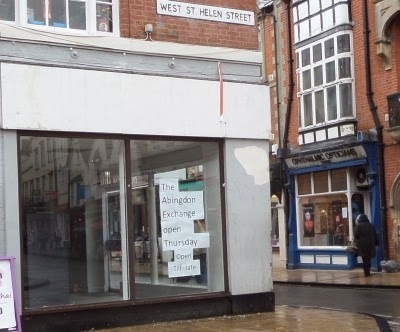 I hope that A stands for Abingdon Music Centre. 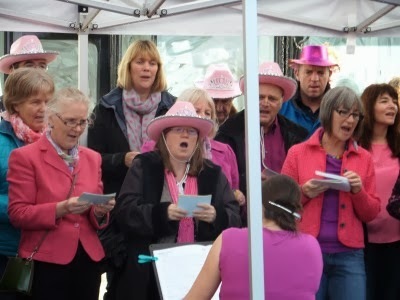 As well as all their usual music tuition, they have created a very popular Community Orchestra and a big Community Choir. 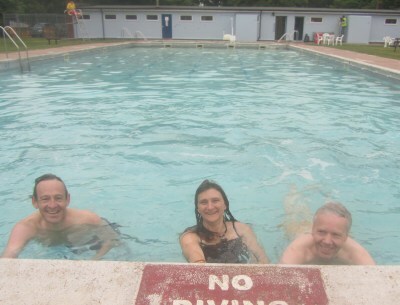 7 Councillors left the room when the Town Council’s grant towards the Open Air Pool was decided. The District Council runs the pool and so has a financial interest and the 7 were also District Councillors. The grant was agreed by those that remained. In Town Council planning committee meetings since September, many plans have been discussed. A lot of space in the council papers was given to objections to two plans in particular: the demolition of 55-59 and Abbey Court to build new flats, and the plan to move the Marcham Road lights and install a new set of lights at the top of Ock Street – near the mini roundabouts. The work on the offices in Roysse Court is complete. The Town Council staff will start moving in at the start of March. There are just some telecoms need installing and carpets to fit. There was a discussion about the 5 new Abingdon District Council wards, and how 21 Town Councillors could equably be divided among them. The council would like to keep 21 councillors as they all work so hard. As for less weighty matters The solar powered Christmas trees did not work well in 2012/13 and were fitted with batteries in 2013/14 and worked much better. 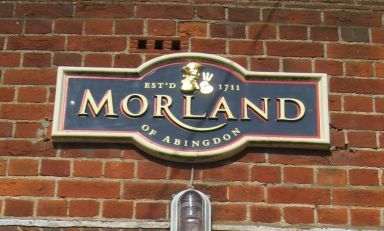 The new retirement flats in Wootton Road have been called Fleur de Lis, and the Town Council expressed concern that no reference was made to Thomas Skurray (of Morlands). This was quite possibly a Town Council naming suggestion which the District Council ignored. The cost of dog bin emptying will increase from 68p to £4.63 per bin per week. The District Council’s real cost is £5.63 per week so they are still subsidising each bin by £1 per week. The big sign advertising 6 months free rent has come down. Shelves have been put in place for the what I believe will be a CD and DVD exchange (possibly records and other objects too). Time will soon tell. 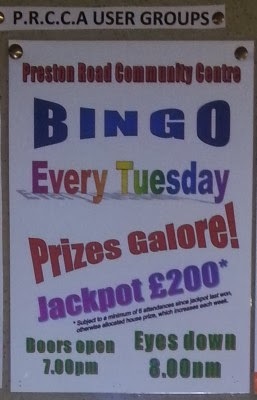 Every Tuesday at Preston Road Community Centre there is Bingo. Eyes down at 8:00 pm. Unlike the online Bingo it is a community event where people get together with friends and chat between games. Its twitter hashtag is #prestonroadjackpot. 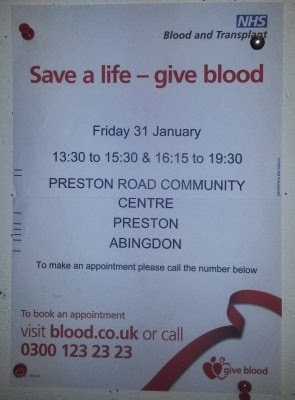 On Friday the Blood Donation Service take over the centre for the day so I would guess the usual Friday Youth Club for South Abingdon has a week off. 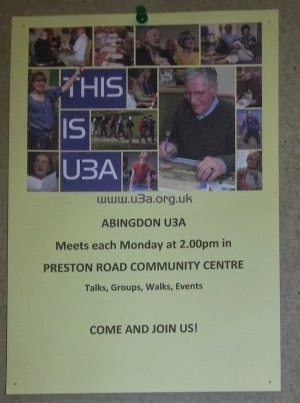 The Abingdon U3A meet at Preston Road Community Centre. The University of the Third Age is for people who have retired and still want to learn and discover new things. 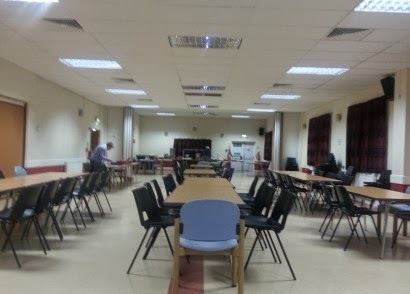 There are lots more groups who use Preston Road Community Centre. The centre is run by a small group of volunteers, who would welcome new volunteers, and is there for the local community. New sliding partitions have been recently installed so that different areas are soundproofed and the large hall can be divided in two, as can the lounge, or it can all be opened up for one big event – very configurable. Apprenticeships seem to cover a much wider range of skills than traditional trade apprenticeships. They can be anything from Accounting to Youth Work.